Ayansh Tutors Peovides Spoken English classes to all Students. 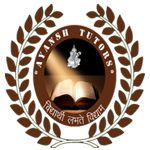 Ayansh Tutors conducts classes in Spoken English. It is located in Pandav Nagar, Delhi. It takes Regular Classes- at the Institute.